This captivating new home provides luxurious living areas, lovely decor, & a wide range of amenities that are sure to please including a Private Salt Water Swimming Pool & Rec. Room w/Foosball & Large Flat Screen TV. Ideally situated in the Sea Crest Village community of Southern Shores, this home has direct access to the Beach (287 Yds. 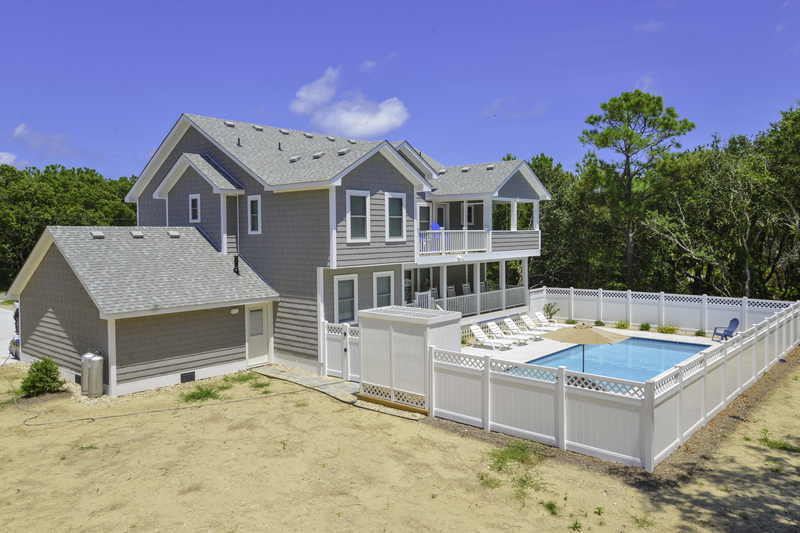 to Beach Access) & is convenient to the outstanding shopping & dining areas located in the Village of Duck & Kitty Hawk. 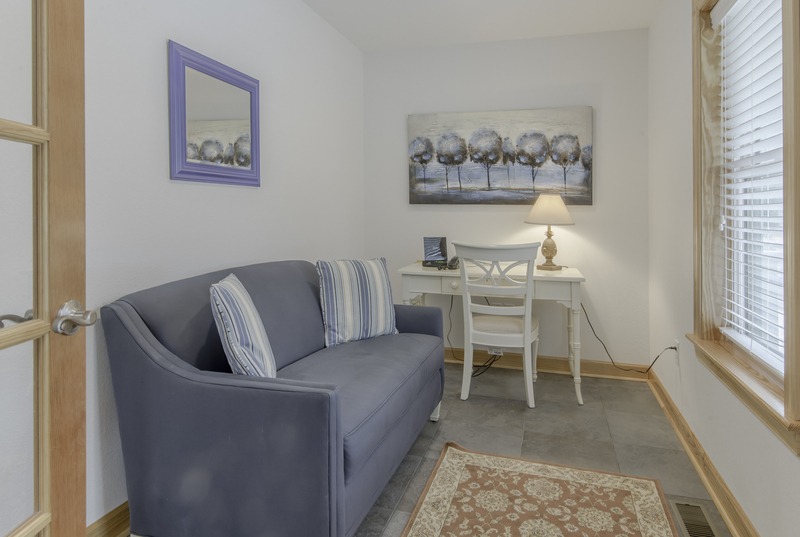 Spacious & comfortable, your family will love the quiet atmosphere & the convenience of being able to take a short stroll down the street to the water’s edge. With no thru traffic, this home is great for families w/ children & there is a bike path that runs all the way to Duck & Kitty Hawk. The top level of the home provides an open Living/Dining/Kitchen area w/ plenty of space for your family to gather & enjoy special time together while creating memories that will last a lifetime. The Den w/TV will offer a bit of solitude & quiet time. 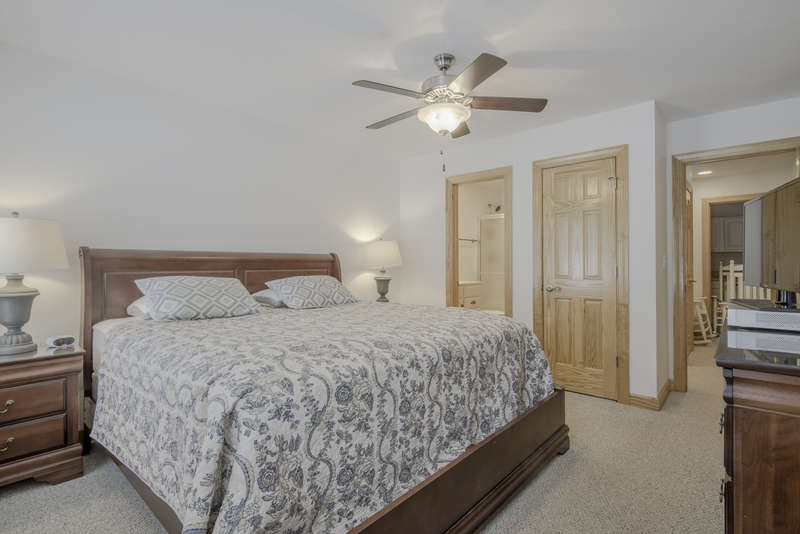 There is a two car garage for storing bicycles & beach equipment so come on down & enjoy this great vacation home. Ground Level: Parking for 5 Cars, Two Car Garage, Enclosed Outside Shower, Basketball Hoop & Large Private Salt Water Swimming Pool, Gas Grill, Picnic Table, & Pool Furniture. 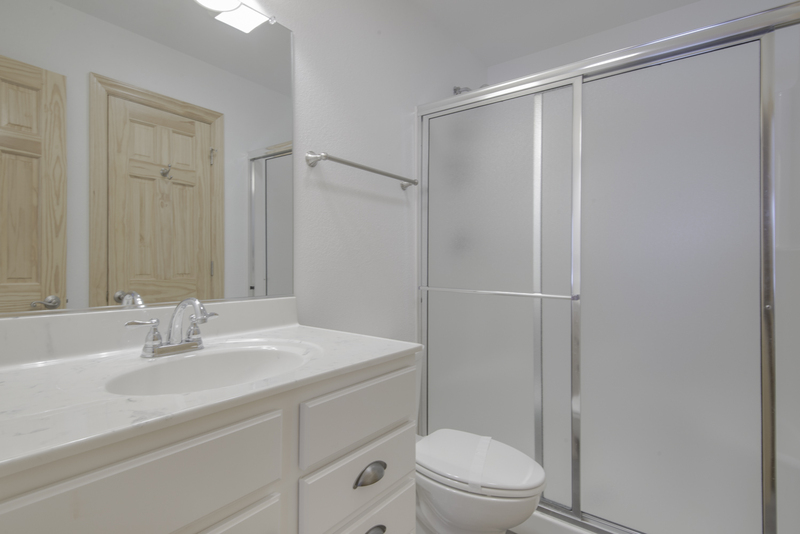 Mid Level: 3 Bedrooms (Master Suite w/King & Full Bath, 1 w/Queen, & 1 w/Duo Bunk), Shared Full Bath, Den/Recreation Room combination w/TV & Foosball Table, Small Study Room, Laundry Area, 2 Covered Decks, & Access to Pool Patio Area. Top Level: Expansive Living/Dining/Kitchen Area, Flat Screen TV, Half Bath, 2 Master Suites w/Kings & Private Full Baths, & Covered Porch. 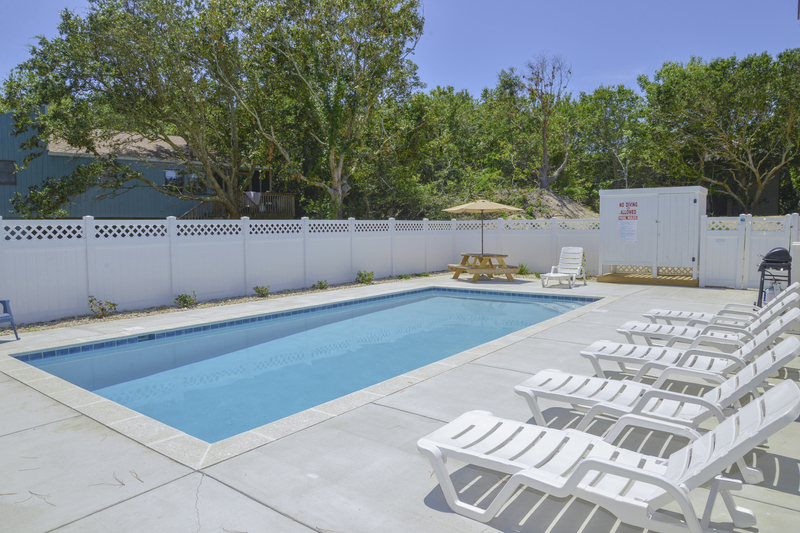 Features include: C/AC & Heat, Washer/Dryer, Dishwasher, Microwave, Phone, TVs, Stereo, Wireless Internet, Ceiling Fans, & Pool & Deck Furniture. A Member of the Southern Shores Civic Association (SSCA) which provides you w/No Fee Access to 4 Miles of Southern Shores Beaches w/Parking, Boat Launching Area, 3 Soundside Marinas, Soundside Bathing, Beach, & Picnic Area, Sea Oats Park/Play Ground, & Walking/Biking Trails. No Pets. This is a Non-Smoking Unit. We had a lot of fun staying in this home. The kids loved the pool and the short walk to the beach. It was close to shopping but also felt private with all the trees and the dead end street. We had a lot of fun staying in this home. The kids loved the pool and the short walk to the beach. The ice maker was fantastic, as was the pool. Overall it was a very nice house. The beds were comfortable too. This was our second year renting Ft. Myers. We love the house. It is in a quiet area and more like a "home" than one of the outrageously huge fancy houses. We especially like the big porch on the back that overlooks the swimming pool. We have four elementary school age grandchildren who go with us, and it is so nice to be able to sit out of the sun and watch them in the pool. Kids love the pool. We spent a lot of our time on that porch. Beds are very comfortable. Short walk to the beach, and like the fact it is on a dead end road. Not a lot of traffic. This house was a beautiful house. Only a short walk to the beach (about 4 minutes, it's only .25 miles). Beautiful home. Beautifully laid out floor plan. It was absolutely perfect for our needs. Pool was also perfect and the proximity to the beach, perfect again. Overall the home was clean and comfortable. We enjoyed staying there. Very well built and laid out home. Lovely home with lots of room for us. 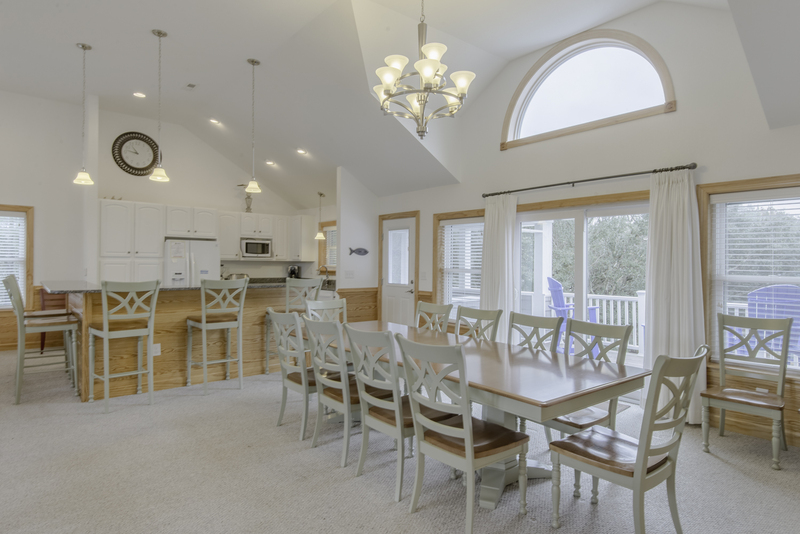 Great layout for a multiple family stay with kids. Plenty of room to move around without getting under each others feet. Loved the swimming pool. This is the second consecutive year that we stayed at this vacation property. It is an outstanding property. It is a short walk to the beach. The pool is fantastic. There is also a small pond five blocks away that you can take the children to for fishing. The vacation home is in fantastic condition. Probably the best kept home we've rented out of multiple states. This is a very nice and very well-kept home. We will very likely be back and rent the same home again. 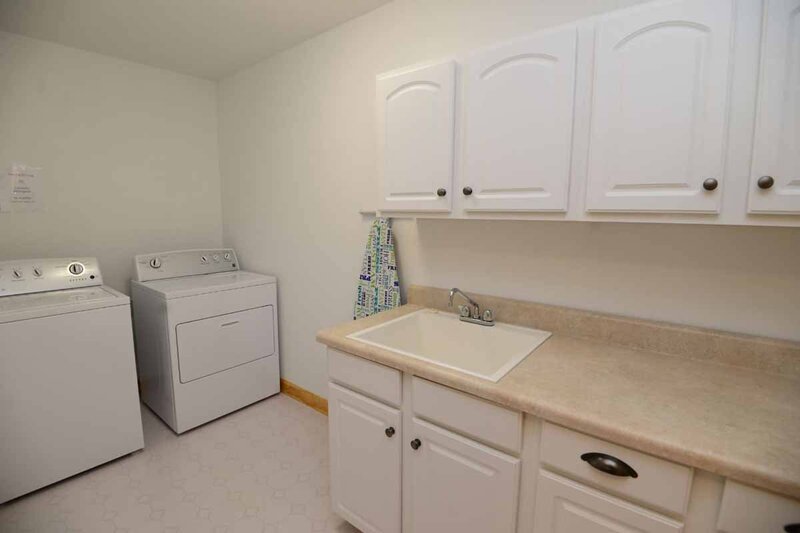 Very few complaints, plenty of positive features in this home. Very satisfied. Great place not a huge walk to the beach. Has good beach excess and wasn't over crowded. House was up to date and bedrooms were nice. Enjoyed the week. 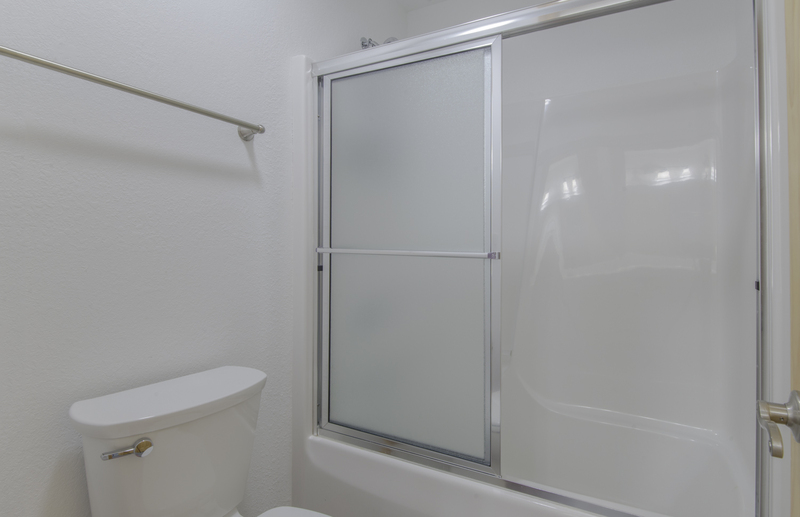 It is a great rental property. The beds are very comfortable. Please bring your own pillow you will enjoy your stay even more.